The Royal Villas at Lifestyle Holidays Vacation Resort are the ultimate in luxury experience and set the gold standard by which all other vacations will be compared. 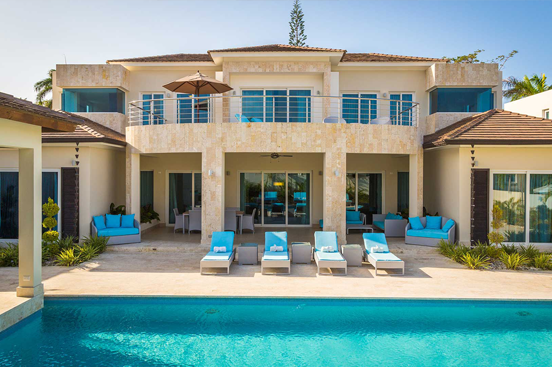 Our villas are your home away from home, offering a unique and more importantly, private experience for the traveler who wants their own spectacular space. Our Royal Villas from Lifestyle take luxury vacations to a whole other level. Located within walking distance from the beautiful Confresi Beach, the sleek and modern Royal Villas will take your breath away. 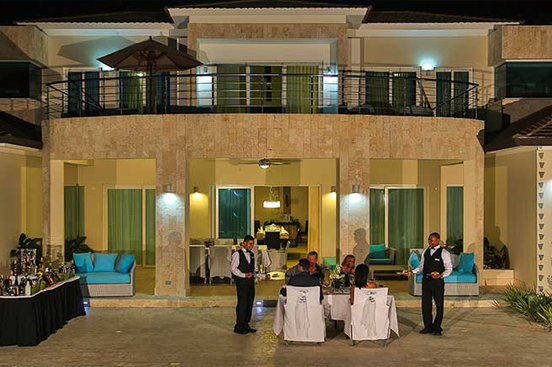 Each one of our suites will be the perfect place for your Puerto Plata vacation stay. The rooms are furnished with rich, dark wood furniture that lend to the tropical island feel. Contemporary appliances in steel are a sparkling contrast against the deep wood veneer. Each bedroom comes with private baths right in your suite with all the amenities you could possibly need provided to you for a spa-like experience. The living room and dining room are decorated in traditional and cultural style to enhance your island experience and feature marble floors throughout. Ready to enjoy that book you’ve been dying to read? Step out onto your own personal terrace or balcony for peace and serenity. Or, invite friends and family over for lunch and enjoy the view. Head out to your beautiful, blue pool for a swim or sit back and relax in the hot tub. Step onto the golden sand beaches and deep blue waters of our exclusive Lifestyle beach area when you are ready to leave your suite. After all, it’s your vacation and your time to experience lavish living and relaxation your own way. Includes: House Wine with Meals, plus Beer, Spirits, Cocktails, Juices, and Soft Drinks are available from all Bars located on the property.